Marc is a 1 year old male Cross-Breed. 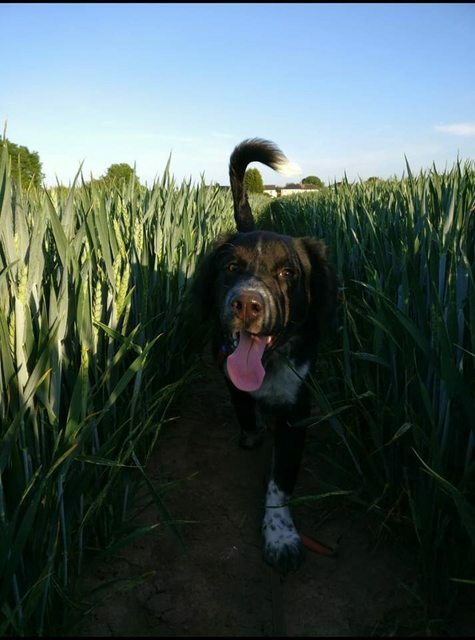 Marc was rescued in Cyprus and is now living in Doncaster. Through no fault of his own, due to change in his current family’s working hours, he is now looking for a new forever home. Here is a little about him: Marc is a beautiful boy inside and out. He has a wonderful temperament. He is a very intelligent dog and thrives on the time spent with him by his human. He is a confident dog who just loves company and exploring. 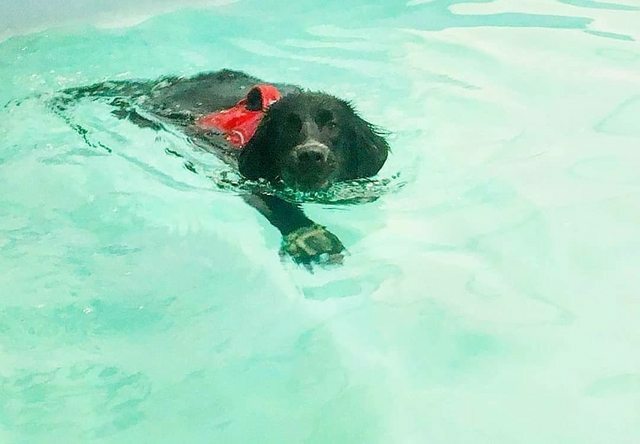 He is full of energy and absolutely loves a good swim, a real water boy! 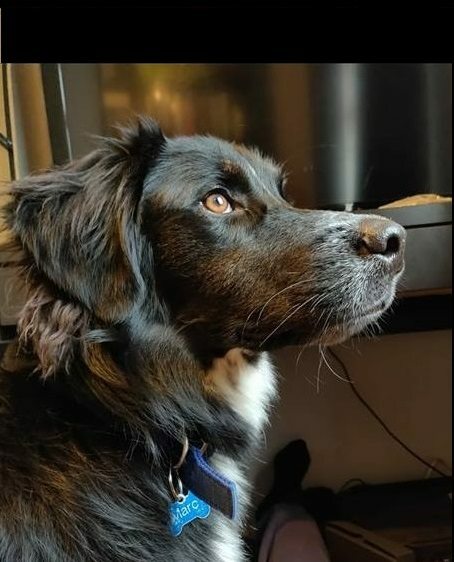 Whilst we do not know the exact breeds in his mix, his coat suggests possibly a touch of husky and perhaps with his love of water there is some Retriever in him too. But what we can say is that he is 100% gorgeous. Marc is generally calm and sleeps a lot inside the home if he has been walked, otherwise he will want to play. He shares his current home with his sister and they entertain each other and play happily together. Marc likes affection on his own terms loves a belly tickle and the occasional cuddle but very much likes his own space within close proximity to his human. He has a big personality, and loves to give off a good snore, huff and a grunt. Marc is not a vocal dog, he rarely barks. Marc loves other dogs and will happily make friends on walks. Marc generally responds to recall, he loves a good run and with a treat and without distractions he will come back. If there are other dogs or animals about he would much rather play with them! He is a big lad and can be bouncy so we would say he would be better sharing his home with confident older children. He loves children and will generally follow them in hope of a belly rub or fallen food. Marc has been around cats and chickens on occasion. He loves a chase but if they leave him alone, he won’t react and has never shown any aggression or hostility to other animals. So he may be happy to share his new home with a dog savvy, confident cat providing they are introduced carefully. Marc is housetrained and sleeps well through the night in his own bed in the same room as his humans. Marc is looking for a home with a good sized, safe garden to play in and a human or two to enjoy long walks with. Humans who are about much of the day or have access to good doggy daycare facilities and can give him lots of love, attention and training would be preferable. He is a very clever boy so learns quickly. However he is occasionally stubborn as many dogs his age are, so requires daily training and a consistent routine. 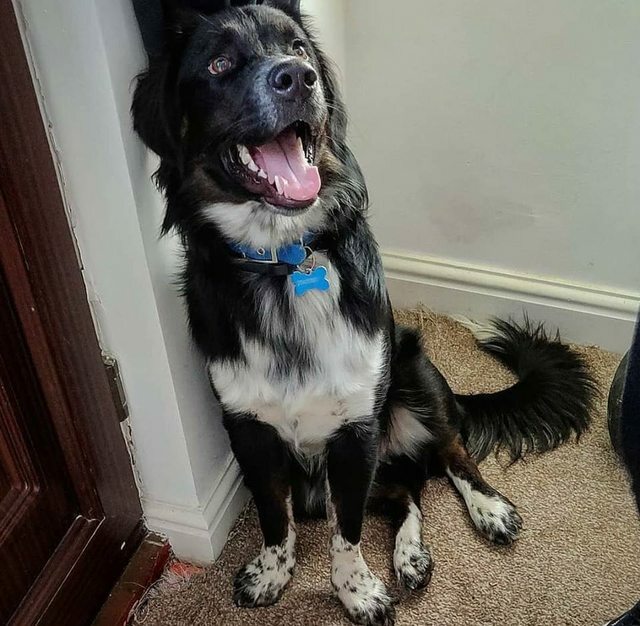 He is hoping for a new family who will continue with the right support and kind handling, as any dog would require upon joining your household, and this will help him continue to develop into the fabulous family pet, he has the potential to be. 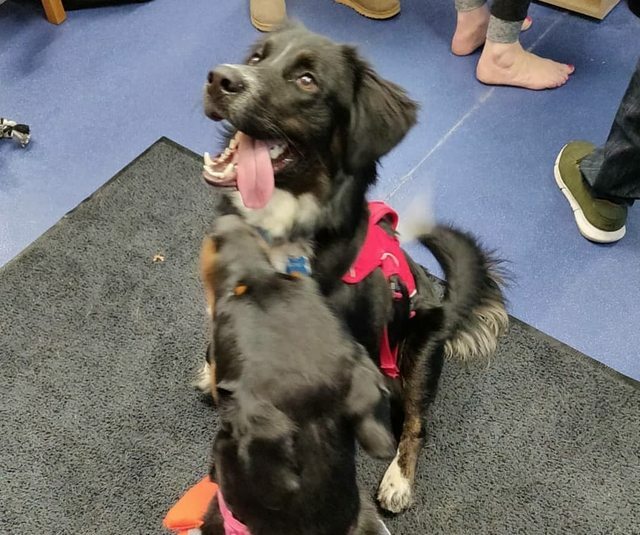 If you are interested in the handsome, happy boy, please contact us. We have no doubt that he will make his forever family very happy. He has been neutered, vaccinated and microchipped. The minimum adoption donation for Marc is £275. ADOPTION IS SUBJECT TO HOME CHECK. Full post adoption support is offered by our charity.